Global connections and screen innovations converge in Hong Kong cinema. Energized by transnational images and human flows from China and Asia, Hong Kong’s commercial filmmakers and independent pioneers have actively challenged established genres and narrative conventions to create a cultural space independent of Hollywood. 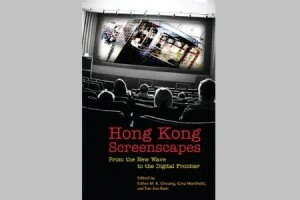 The circulation of Hong Kong films through art house and film festival circuits, as well as independent DVDs and galleries and internet sites, reveals many differences within global cultural distributions, as well as distinctive tensions between experimental media artists and traditional screen architects. Covering the contributions of Hong Kong New Wave directors such as Wong Kar-wai, Stanley Kwan, Ann Hui, Patrick Tam, and Tsui Hark, the volume links their spirit of innovation to work by independent, experimental, and documentary filmmakers, including Fruit Chan, Tammy Cheung, Evans Chan, Yau Ching and digital artist Isaac Leung. Within an interdisciplinary frame that highlights issues of political marginalization, censorship, sexual orientation, gender hierarchies, “flexible citizenship” and local/global identities, this book speaks to scholars and students within as well as beyond the field of Hong Kong cinema.